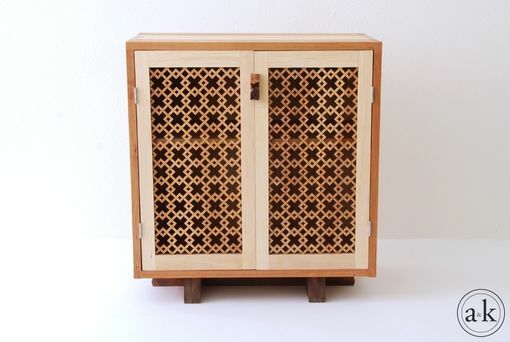 An elegant side cabinet with delicate wooden screen doors. 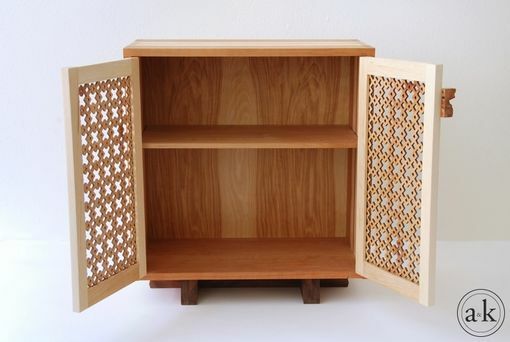 Can be used to store anything from your board games to liquor. 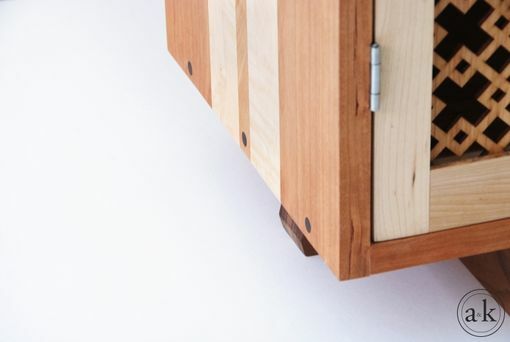 The shelf in this cabinet may be adjusted to three different heights. 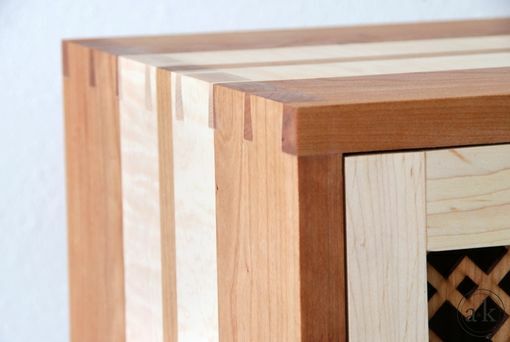 Made mostly with cherry, and maple. 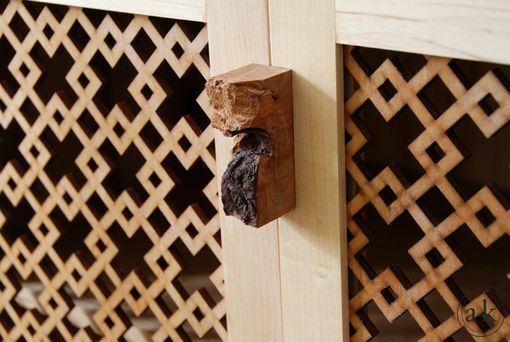 The shelf is made of alder, and the screen door is laser cut from luan.